The SECOND candle of ADVENT can be lit. For an awesome Christmas delight, you may click on the link below to listen to a Christmas song. Peace to you today. God prepared this event in advance. Three kings were summoned to take a journey that would end up in a stable in Bethlehem where the kings would see the promised child. Three Kings prepared for their journey by selecting precious, costly gifts; they intended to offer the gifts to this child-king. The gifts were selected, and their long journey by night began. The traveling kings had the best GPS system possible – the enormous, bright star in the heavens! I’ve read the book, The Road Less Traveled, by M. Scott Peck, MD. several times. I read it when it first came out, and then I read the updated version that he wrote twenty-five years after. “I am certain that miracles abound. We are assisted in miraculous ways. If we remain open, then we will see miracles. I think, maybe so! Each person in this Nativity Story definitely had Divine guidance and perfect timing. Was it the human spirit, the subconscious mind, or the intuition – or all of these? there is definitely a PLACE from which the wise men were guided as they looked into the miraculous night sky with the star that was there as a visual landmark for them to follow. We know that such a heavenly sign was in the night sky and it did take place at this time according to contemporary astronomers. Miracles are found when we are open to the ordinary and everyday. Miracles abound when we decide to live a life that is expecting miracles and guidance from God in our ordinary daily life. From the beginnings of recorded history in Genesis, we are told repeatedly to look towards the heavens for miraculous events in the Sun, Moon, and Stars. I intend to keep looking! Preparation means to “get ready.” God takes our passions and our desires and He makes a way for us to live the life we were meant to have from the beginning. What have you been preparing for? Bring them to the one who has a PLAN A for your life. Far away from Bethlehem, on an island in the Atlantic Ocean, Christians celebrate Christmas and Epiphany in Puerto Rico. They commemorate the ancient journey to Bethlehem. A unique and particular tradition by Puerto Rican artists is the hand carved SANTOS. One theme that is popular for SANTOS is the THREE KINGS. They hold a special place in the art of Puerto Rico culture. Santos are traditionally twelve inches or less in height. Each piece is signed by the artist who made it. Every Santos is one-of-a-kind art. Christmas music celebrates the Preparation and Hope for WEEK 2 of Advent. Notice on the SANTOS of the 3 Kings, above, how they each are holding a musical instrument. Think of the importance of MUSIC in the universe – and certainly this divinely orchestrated event would have been accompanied by the MUSIC of all of creation. Below, I give you some links to music for this holy season. This link will take you to a performance of the same Christmas Carol and there are images of medieval stained glass windows. Be sure to watch the images with the music and you will see many ways a rose has been depicted in them. We discovered the meaning of the Rose in my previous essay for the First Week of Advent – symbolic of Hope. Roses appear in the hair and halo of women; in bouquets and clothing ornaments, in the colorful mosaic pictures. Note: Photos of SANTOS from the authors collection. Photos by Lynda McKinney Lambert. Copyright 2015. All Rights Reserved. Next week, look for Week 3 – The Candle of Joy (The ?Shepherd’s Candle). On Christmas Day the Believers throughout the entire world celebrate the BIRTH of Jesus, the MESSIAH. Let’s not forget, this is a JEWISH story, and the entire world received the invitation to be grafted into this story through Jesus. Contemporary popular culture has almost forgotten that Jesus is a Jew, and he is the long awaited Messiah who was promised hundreds of years before the day of His miraculous birth. In the essay I am including below, we can see the traditional Christian thought on the birth of God, that night in Bethlehem. Mary was carrying God in her womb. This is called “The Incarnation.” I am also including a link to my essay _I Believe in Shepherds_ if you want to read what I had to say about the lighting of the Shepherd’s Candle you can go there for more information. Today’s essay is the final one on my series, ADVENT. 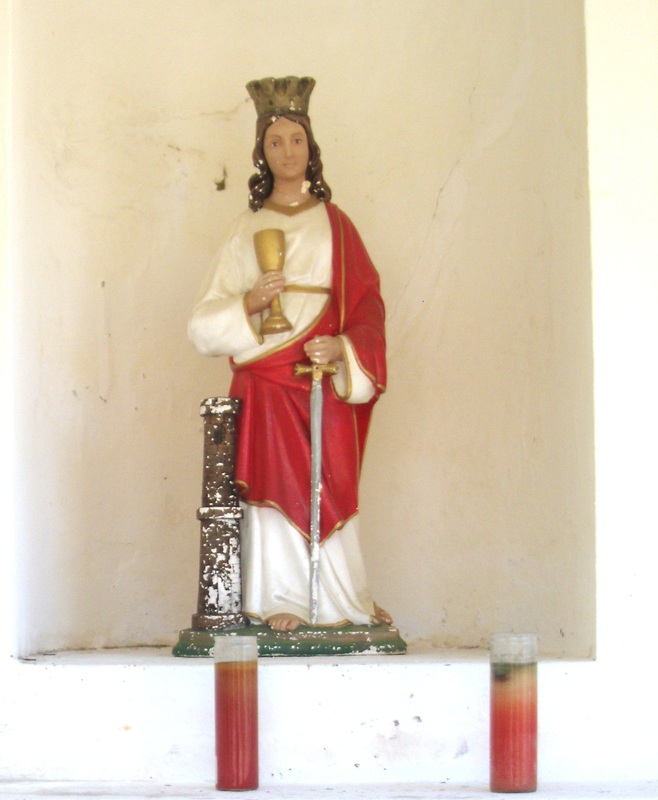 Today’s topic is the Jesus Candle. There are a tremendous amount of scripture references to Jesus as God, but I chose to include the essay by Father William Saunders because I think it covers this question quite accurately and provides details that are in the historic records regarding this matter. In the 5th century of Christian history, long after the actual birth of Jesus, we find a new idea being developed and preached. This was the first time that the idea that Jesus is God was challenged. You can read about this in the following essay, by Father William Saunders. 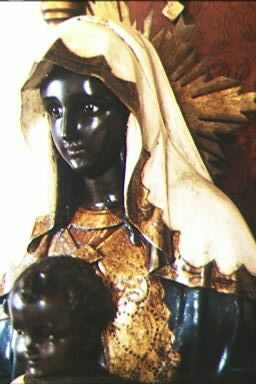 From the beginning of the Christian church, Mary was known to be the _Mother of God_ because of the birth of Jesus Christ. I find that many believers today are often ignorant about the scriptures and the history of the miraculous birth. You may be surprised to learn that Martin Luther was devoted to Mary as the Mother of God and even though many of his declarations of discontent with The Church, this was not one of them. Throughout his life, he held the opinion that Mary was the Mother of God and he did not “throw the baby out with the bath water” in his preaching and writing. This was a delightful surprise to me as I did my research for this essay! 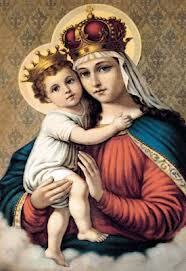 As Catholics, we firmly believe in the incarnation of our Lord: Mary conceived by the power of the Holy Spirit. (Lk 1:26-38 and Mt 1:18-25) Through her, Jesus Christ–second person of the Holy Trinity, one-in-being (consubstantial) with the Father, and true God from true God–entered this world, taking on human flesh and a human soul. Jesus is true God and true man. In His person are united both a divine nature and a human nature. 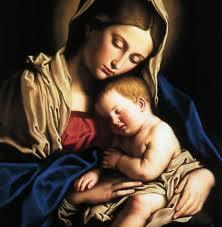 Mary did not create the divine person of Jesus, who existed with the Father from all eternity. “In fact, the One whom she conceived as man by the Holy Spirit, who truly became her Son according to the flesh, was none other than the Father’s eternal Son, the second person of the Holy Trinity. 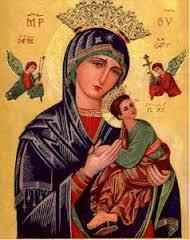 Hence the Church confesses that Mary is truly ‘Mother of God’ (Theotokos)” (CCC, No. 495). As St. John wrote, “The Word became flesh and made His dwelling among us, and we have seen His glory: The glory of an only Son coming from the Father filled with enduring love” (Jn 1:14). However, objection to the title “Mother of God” arose in the fifth century, due to confusion concerning the mystery of the incarnation. Nestorius, Bishop of Constantinople (428-431), incited a major controversy. 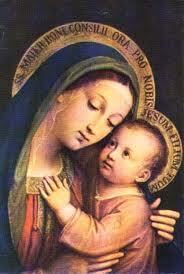 He stated that Mary gave birth to Jesus Christ, a regular human person, period. To this human person was united the person of the Word of God (the divine Jesus). This union of two persons–the human Christ and the divine Word– was “sublime and unique” but merely accidental. The divine person dwelt in the human person “as in a temple.” Following his own reasoning, Nestorius asserted that the human Jesus died on the cross, not the divine Jesus. As such, Mary is not “Mother of God,” but simply “Mother of Christ”–the human Jesus. Sound confusing? It is, but the result is the splitting of Christ into two persons and the denial of the incarnation. St. Cyril, Bishop of Alexandria (d. 440) refuted Nestorius, asserting, “It was not that an ordinary man was born first of the Holy Virgin, on whom afterwards the Word descended; what we say is that, being united with the flesh from the womb, (the Word) has undergone birth in the flesh, making the birth in the flesh His own…” This statement affirms the belief asserted in the first paragraph. This article appeared in the December 22, 1994 issue of The Arlington Catholic Herald. Electronic text (c) Copyright EWTN 1996. All rights reserved. Let me add a Christmas Carol to end this post! Clilck on the link below to listen to a contemporary group singing, Mary, did you know? Merry Christmas to all my followers and my family and friends. The Living Room – I Believe in Christmas Eve! I Believe in Christmas Eve! “A baby on its mother’s back does not know the way is long”. African Proverb. Esther looked forward to one special night of the year when she won’t be lonely in her quiet home. Esther walked slowly through the stillness and then she stopped briefly to look out the large picture window in her spacious living room. She checked once again to see if anyone had arrived yet. She won’t be alone tonight because it is Christmas Eve. Every year Esther’s four grown children returned home with their families to celebrate this special evening together. Esther’s face will be radiant with happiness throughout this evening and she’ll be transformed into the queen of the night. Esther is the lone matriarch of the family. The elongated living room will quickly fill up with her children, grand children, and even great grandchildren tonight. This room was built with enough space for holding large gatherings for all sorts of family events. Along the one long wall, there is a gray stone fireplace. 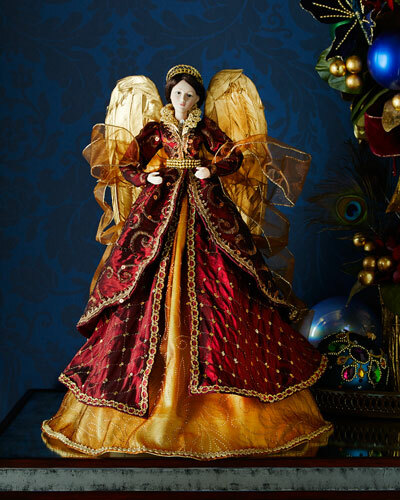 As she had done for many years previously, it was decorated with her hand painted ceramic angels. Each time she learned again that one of her siblings was dead, she wept all over again. It always happened as someone brought up a conversation about their deaths. Each time it was the beginning of grieving for her. When Esther’s children look back through old family photos they laugh when they see the three sisters sitting at a wedding reception. Each sister is dressed in a delicate little flowered dress. Very often another sister, Jeanne, is there in the photos and sometimes her outfit looks like the other sister’s clothing. Strange, isn’t it? They all have the same taste. Esther’s husband, Bill, died eleven years before tonight. It happened suddenly one Saturday morning. It was in July. While Esther prepared their breakfast in the kitchen at the opposite end of the home, Bill had left this world. He was in their bedroom and had not yet come out to have his breakfast with Esther. His sudden departure was a shock she never really recovered from, I recall several occasions when she grew silent and it was apparent she was overcome with sadness as she spoke. I turned my head away for her words were too hard for me to take in. I tried to hold back my own tears as I silently inhaled and held my breath. “I never got to even say good bye to Bill. I realize he didn’t come out of our room yet, I am in the kitchen reading my morning devotions. I hear him get up and go to the bathroom. Then, I think he should have come out for breakfast by now. Where is he? I walk through the living room and into our bedroom He is just laying there on the bed. All stretched out on his back. His arms are wide open and his feet hang down almost touching the floor. He is wearing one sock but the other foot is bare. I see he was putting on his socks. But he’s not moving. I scream and rush over to him. I shake him, but he never moves. I try to put my mouth over his open mouth, and I try to breathe into him to wake him up. Nothing is working. I leave him and I run as fast as I can run, through the house, out the door, across the lawn to the neighbor’s house. I need help! Bill needs help he isn’t breathing and I cannot wake him up.” Bill left Esther alone at 6:30 am on July 17th, 1988. This is the year they would have celebrated their fiftieth wedding anniversary, on Christmas Day! Esther was now seventy-nine years old – still a beautiful woman. Her sharp, deep amber-brown eyes had clouded over. They looked like a gray film had grown over the rich darkness of her eyes. She was still tall and looked stately. Her dark raven hair had slowly transformed into a soft, short silver color. She patiently watched out the thick glass window at the end of the living room. “I am sure someone will be here soon,” she whispered to the empty living room. Esther was stoic in her determination to stay in the home she helped build. She managed to hold on to her home because it was built just for her and she loved it. The walls of every room surrounded her with a lifetime of memories. And, it held future possibilities for her Christmas Eve parties for her family. Bill and Esther did build the house, just like they had planned. When they were younger and their four children were all at home, Esther and Bill dreamed about the house they would build some day. Bill, a good artist and draftsman, entertained the children with his drawings of cartoons and animals. He made sketches of the ideas they formulated and envisioned their new house. Each of the children can recall the many times their parents poured over plans for a new home they wanted to build. . Bill even constructed a meticulous scale model of the house they planned together. The model he built was large. It was on a sheet of plywood. Bill spent the long, solitary winter months in the basement working on the model. One of the features they planned so carefully was the spacious living room. It was the most important room in their home. Now, so many years later, Esther is here all alone inside their dream house. They had worked side by side to build this home. Esther was 38 years old and Bill was 42 when they moved their young family of four children into this house. It is the house where the children grew up together. Esther and Bill had dreams of living in a nice neighborhood and in a house that they built. They made their dream come true. It was a little at a time, as they could pay for the things they needed when building it. Bill was a Pennsylvania steelworker. I can remember so many times when the men who worked in the steel mill went out on strike or when there would be lay-offs, and those times were difficult for our family. After they started building the house, there would be several times when things came to a stand-still due to unemployment. Our whole family actually moved into the basement of the house. I was fifteen years old that summer. While our family lived in that basement, the upstairs was being built. In a year or so, we all finally moved upstairs into the newly finished house. It was exciting for me, as a fifteen year old girl, to be part of this new adventure in our life. One of the loveliest sounds that echoed through the house was Esther’s voice as she sang hymns. She was a strong singer with a ringing alto voice. The living room was her concert hall as she dusted the table tops or washed the large picture window. Esther Luella Kirker started singing as a small child with her family. Almost her entire family sang or played a musical instrument. Everyone who knew the Kirker family always remarked about the music they all made together at the local Wurtemburg Methodist Church. Esther’s father, James, played the coronet in the church orchestra. Her oldest brother, Clair, was there, too, because he played the tenor saxophone. Sister Jeanne played the Piano. Esther sang along with the family musicians. Her voice was her instrument. Esther sang at church. Members of the congregation often asked her to sing their favorite hymns. She continued singing those old time heavenly songs by memory her entire life. My Mother had forgotten many things these days, but she never forgot how to sing. She never forgot the words or the melodies of the old hymns. “How Great Thou Art” and “In the Garden” are two hymns that still ring in my memories today. I remember my Mother’s voice. Around 7 PM everyone began to arrive tonight. They parked on the blacktop driveway at the Mercer Road residence. Cars soon lined the driveway and even down the sides onto the frozen lawn. Our entire family members came bursting through the front door. They called out, “Merry Christmas” and laughed as they greeted each other with hugs and smiles. They carried in holiday foods wrapped up with foil and they juggled boxes and bags of bright wrapped gifts. Each person wore holiday outfits for this special night. Christmas Eve at our house was a grand affair and everyone always dressed in their sparkling new outfits; velvet, silk, and taffeta dresses were on all the little curly haired granddaughters. Their little brothers had slicked down hair and they arrived with small metal model s of cars and soft stuffed toys to keep them busy. Once her family members began arriving with their arms stacked with wrapped gifts and foods, we quickly put out the colorful holiday food on the table Esther had prepared for this feast. Esther served the very same punch every year. It is a fruity punch and we all expected to enjoy it. If she ever changed and used a different recipe, it would not be the same for us. We loved her frothy pink fruit punch. When my father was still living, I brought him his favorite pie, an old fashioned Shoo-fly Pie or a mincemeat pie. When the new house was nearly finished, Bill brought some spindly trees home from the woods. He planted them around the house and down the driveway. One neighbor remarked, “Those trees from the woods will never grow.” Tonight, the bare winter branches of the Maple and Sycamore Trees stand tall and strong in the early darkness of a Pennsylvania winter. They were just like my Father and Mother might have imagined them forty years ago. Our Father’s hands were hardened by years of labor in the steel mill yet he carefully crafted this house and surrounding beauty of the yard through years of sacrifice and labor. Tonight, in the gently beating heart of our family home, our Mother’s swollen arthritic hands struggle to open the gifts are stacked around her. She looks so fragile and seems almost like she is drifting away to another place while we sit and watch her surrounded by her unopened gifts. These days, she struggles with almost everything. She often forgets ordinary things she had done for many years in earlier times of her life. She does not say very much tonight but she keeps on smiling. It is almost like she is part of a dream. She is like a Christmas angel, surrounded by her many offspring. She is quieter tonight. Sometimes she looks lost in the middle of the family celebration in the living room. At times, I watch her and try to imagine what she might be thinking about in the middle of this noisy laughter. As I glance over at her, I wonder if she is listening to the walls, hearing the voices from the past years. Esther looks out over the five generations who have gathered here every Christmas Eve. The annual photos record the changes in the family. Small babies who once crawled on the floor now bring their own little babies to squirm through the ocean of wrapping paper. Bill is no longer in any of the family Christmas photos. Esther looks frail, and smaller than she looks in the old family photos. The living room has now become a witness in the house we filled with laughter, tears and secrets. The living room is part of a conspiracy tonight. The day after Christmas, I took my Mom to the local hospital for an evaluation. As we had all suspected, she was diagnosed with advanced Alzheimer’s disease. She lived another eight years but we would never again be in the living room of our childhood home for another celebration… This was the end of all our happy holidays together as a family. 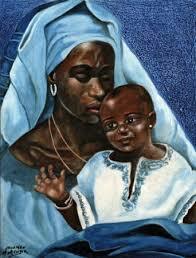 Our Mother’s life changed and so did we. Each Christmas Eve, the living room remains the same as we always knew it, in our memories. TONIGHT, I miss the Living Room! Lynda Lambert. Copyright 2012 and 2014. All rights reserved. The word ADVENT means “coming.” During the FOUR weeks of ADVENT we light one candle for each of the four Sundays preceding Christmas Day. After those four have been lit, on Christmas Day we will light the FIFTH candle to welcome the COMING of Jesus. When we read the accounts of the miraculous birth of Jesus; we find an angel and the Heavenly Host of angels present at every stage of the well documented historical story. The angels give clarity to any possible confusion that may have developed – Angels made announcements, predictions for the present and the future, gave directions, and provided protection. Ah, yes, from all accounts in historic texts, an angel was such a distinctly different kind of being, that every person who met an angel was immediately afraid – the angels always have to say, “Fear not!” when they encounter humans because they appear to be frightening when they suddenly appear among human beings. In most descriptions of angels in literature and art works, they are quite tall – the size of a human or larger. They appear unexpectedly, and with no warning – and human beings tremble at the sight of them. Events that take place in the SKY or the HEAVENS will always point to coming events on Earth. This is a historical fact. They are prophetic signs and wonders. The Nativity events began in the SKY, in the HEAVENS, and then the events announced by the angels took place on earth with the angels interacting with, and fo, humans. We can WATCH the SKY, SUN and MOON and KNOW when supernatural events will take place on EARTH! The coming of Jesus was announced in advance of the birth, by signs in the sky. Here is something interesting that you may not be familiar with – when you see an angel depicted as very small and flying about in the sky, this would not be a credible depiction, but instead, it is imagery from pagan origins and antiquity. Putti are very sensual little creatures with wings. Often, people think they are angels but they are not. Angels are certainly NOT cute little frolicking and fun-loving chubby, naked, baby-like creatures with little wings that are depicted in art works, altars, and sculptures from Antiquity to the present time. These curly haired, flying babies are pagan representations and are always associated with Dionysius in mythology, not at all Christian. They are called PUTI, and these little beings are quite devilish and devious as they are often seen in sexual acts with humans or mythological deities. Okay, I know, you are probably wondering, “Why are the Putti present on Christmas Cards, and other decorations at Christmas time?” And, why do people look at them and smile and say how cute they are? I think it is because most people do not know what a Putto is and they think the Putto is an angel. Once again, this is a traditional image that has been carried over from earlier times in the history of humanity. 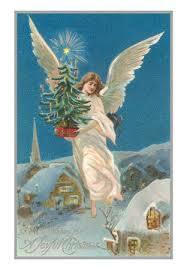 I am certain that angels interact with people all over the world today, just as they did in the Nativity story. I believe in Angels! I have had situations where I know for sure I received help from an angel in times of peril. But that is a story for another day. How about you? Has an angel stepped into your life at some point and rescued you or helped you out of a challenging situation? and guide your path always! Lynda McKinney Lambert. Copyright, 2014. All Rights Reserved. or view my art works! What do I know of shepherds? This week I struggled when I considered what to write for the Candle of Joy, or Shepherds! I kept thinking of the shepherds out in the field with their sheep, at night. 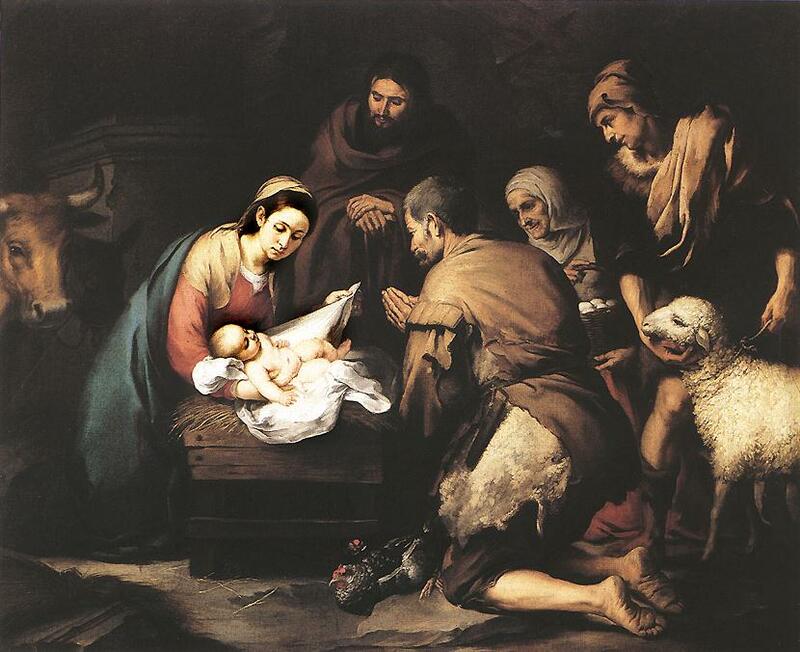 I remembered how they were surprised by a visit from angels who gave them the news of a special birth, and how they were given instructions as to how they might find the little family located in a stable with animals that night. One IDEA kept recurring to me as I quietly thought about this week’s activities surrounding the Birth of Jesus in the manger in Bethlehem. It came to me that the one thread connecting EVERY character in this story is that each person was required to make an unexpected, unplanned, trip from one place to another. Every single one! And, I felt like there is a somber loneliness that underlies this miraculous story – everyone had to give up something that was familiar and travel to an unfamiliar place to do unfamiliar things, with unfamiliar people. When I was nineteen, I gave birth to my first child. Eighteen months later, the second daughter was born. At age twenty-five, our third daughter was born. For all of those births, I was living in a comfortable home with my husband. I had a local doctor, and when the time came, he delivered our daughters in our local hospital just 2 miles from our home. And, I remember how frightening it was – every time – when the pains of labor were intense enough that I was bent over double, unable to even stand up straight and I knew it was time to leave for the hospital and give birth. OH, how did young Mary bear the long days of rugged travels when her body was heavy with her baby boy? How did she straddle the back of a donkey and ride those many miles with her bones and her muscles aching and cramping? How did Joseph bear it to see her pain during the long journey to Bethlehem? Oh, Mary! My heart is sad when I think that you did not even have a warm bed or the comfort of your family or friends that night. Mary, you knew you were carrying God in your womb, but how you must have wondered WHY you had to be so far from h home, so lonely, and in such a strange place as a barn that night. I know that in art through the ages, in songs, and now, in contemporary depictions of the Nativity, we see Angels, the Holy Family, Shepherds, and Three Kings all there together with the animals. Yet, when I read the scriptures that record this event, what we see in the depictions of it are not at all accurate. The nostalgic Christmas card scene has been pieced together over the years into a fantasy world that never existed in that way. The centuries of lore have put together a very odd mixture of Christian history mingled with pagan practices, ideas, superstitions, and myths. And, then add to this mixture, the cultural and racial confusion that exists to add to the fantasy. One evening in October 1997, I heard a whisper, “Come away, my beloved!” I turned, walked towards Him that night, changed the course of my life forever. Oh, but that is not all. You see, as I was walking to meet Jesus, I so clearly heard the voice of another man, Dietrich Bonhoeffer, “When Christ calls a man, he bids him come and die.” I knew I was laying down my life,as I had known it, and I stepped into a new one. When I look at this account of the birth, I can feel the loneliness of a woman as she takes her newborn child and wraps him in clothes and places him on the straw. No room for them anywhere, except for a barn. “The very nature of shepherds’ work kept them from entering into the mainstream of Israel’s society. They couldn’t maintain the ceremonial washings and observe all the religious festivals and feasts, yet these shepherds, just a few miles from Jerusalem, were undoubtedly caring for sheep that someday would be used as sacrifices in the temple. How fitting it is that they were the first to know of the Lamb of God! We are left to wonder, when we search the historical, scripture accounts – about the shepherds. We don’t how they knew where to go. I imagine they just came into Bethlehem, and began walking about, asking, “Do you know where a baby has been born tonight?” The important thing for us to know is that they came! They came because angels had visited them while they were taking care of their flocks at night. They had a visit from God, and they left their fields and followed the direction of the angels to go find the baby. The shepherds became, that night, the first Christian evangelists. They went out from the manger, and they told others what they had found. Dietrich Bonhoeffer was hanged on April 9, 1945, for his part in the conspiracy to assassinate Adolf Hitler. and, here, he throws down the gauntlet for all people who choose to follow the path of the Messiah. Lynda McKinney Lambert. December 2014. Copyright. All Rights Reserved. So, yes, this day begins the SECOND WEEK OF ADVENT and now the second Advent candle will be lit! A miraculous world changing event will take place.. The second Advent candle represents how God prepared to send a Savior into the world and how God kept his promise of a Savior who would be born in Bethlehem. Yet, before a promise can be realized, special and careful preparations must be laid in advance. We can find the announcement of what God had in mind long before the actual birth of Christ. As a vital part of keeping the promise, preparations were made by God in advance. Three kings were summoned to take a journey that would end up in Bethlehem, in a stable, where they would see the promised child. Three Kings prepared for their journey by selecting precious, costly gifts; they intended to offer the gifts to this child-king. The gifts were selected, and their long journey by night began as they traveled towards Bethlehem. The traveling kings had the best GPS system of all – the bright, enormous star in the heavens! “An old idea must die. The three wise men had to give up the present world view when they embraced Christianity,” T.S. Eliot said. Currently, I’ve been reading The Road Less Traveled by M. Scott Peck, MD. I read the book when it was first published in the late 1970’s. The book is so successful that he revised it in honor of the 25th year of the first publication. I read the revised book two more times, this month. As I work on this series of essays on ADVENT, I find Peck’s thoughts on miracles timely. 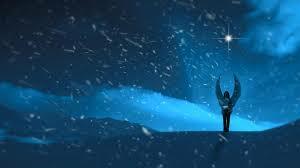 I am certain we must have a consciousness of miracles to understand the Christmas story. And, where do we find this kind of belief in the twenty-first century world view? “I am certain that miracle abound. Sometimes, I am making art all night long in my dreams. There have been nights when, in my dreams, I was shown how to do a new technique I had never seen before, or, I was given exciting ideas for a work of art. At times, I saw myself from a vantage point above, apart from my artist self who was creating a painting. It was as though I was given lessons and shown how to do it by my dreaming self. M. Scott Peck, MD. wrote of such dreams and dream-instructions that originate from deep within our subconscious mind. The subconscious part of our mind, he contends, is over 90 percent of our brain. That leaves only 10 percent of our brain for the conscious level that we use and are aware of continuously. I have a hunch that it was through the subconscious mind (Peck says it is where the SPIRIT dwells in humans) that the three kings were inspired to start out on this most unusual journey. Were they shown images of what they would discover when they arrived? I think, maybe so! They definitely had Divine guidance and perfect timing. Was this the place from which the wise men were guided as they looked into the miraculous night sky with the star that was there as a visual landmark for them to follow? Miracles are found when we are open to the ordinary and everyday. From the beginning o9f the Bible, In Genesis, we are told repeatedly to look towards the heavens for miraculous events in the Sun, Moon, and Stars. I intend to keep looking! Preparation means to “get ready.” God takes our passions and our desires and He makes a way for us to live the life we were meant to have from the beginning. The Three KINGS had no “Plan B” – no “back-up plan.” I am sure of it! They were on a mission and it was “Plan A” all the way! What are your plans? What have you been preparing for? What are your dreams? Bring them to the one who has a PLAN A for you life. One of the most exciting courses I had the privilege of teaching at Geneva College, in Pennsylvania, was a team –taught course. This travel/study course focused on Puerto Rico culture. Our teaching team consisted of a variety of colleagues from numerous disciplines in Humanities and the sciences. We offered the course every spring semester. As part of that course, students traveled with us to Puerto Rico. Once we arrived, we spent ten days working in various cities and locations on the island. One of the traditions that thrilled me is the making of SANTOS by Puerto Rican artisans. I came back home every year with some new ones I purchased on the trip. 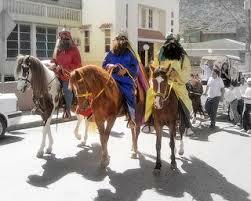 One of the themes that is very popular for SANTOS is the THREE KINGS. I bought the SANTOS in local stores and in museum gift shops on the island and they have a prominent place in my home. SANTOS are hand carved religious sculptures, of saints. Most are painted wood statues. They are traditionally twelve inches or less in height. Each is signed by the artist who made it, and each is one-of-a-kind art. For the theme of Advent this week, I thought about the many steps of PREPARATION that an artist takes when she decides to make a painting. Decisions must be made about what to paint it picture on? What kind of paints to use? What colors will be best to create a mood? What utensils will do the best effect? What size should it be? Preparations lead the way to what will become a work of art, eventually. The artist begins the journey after the plans are set for the painting. The final thing I want to share with you today is music that celebrates the Preparation and Hope of the two Advent candles we have lit. You can continue, below, and find some links to music and art. Light the 2nd candle and think about the meaning of it this week. This link will take you to a performance of the same Christmas Carol and there are images of Medieval stained glass windows. Be sure to watch the images with the music and you will see many ways a rose has been depicted in them. We discovered the meaing of the Rose in my previous essay for the Fist Week of Advent – symbolic of Hope. On January 6, in Puerto Rico, the Christians will celebrate the arrival of the THREE KINGS who reached their travel’s end in Bethlehem. I sat quietly in my living room as I watched a Christmas program on television. The focus of the program was on Advent since this day marked the first day of Advent in the Christian calendar. A priest lit the first candle. “This first candle stands for hope,” he said. 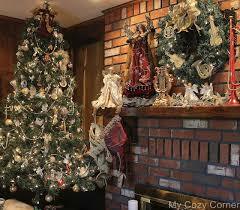 Traditionally, one candle will be lighted for each of the four Sundays preceding Christmas Day. There will be one candle that is different in color than the other four. That one candle will be lit last – it will symbolize the arrival of Christmas. We know that the German Lutheran’s were using a wreath with candles to celebrate each day of Advent at least 300 years ago. However, in northern Germany, long before the Christians began using this symbol, the early northern Germanic people thought of the ring, wheel, and evergreens as part of rituals that signified the love of God. The circle or wheel has no beginning and no end. This is a cyclical world view embraced by pre-Christian people. 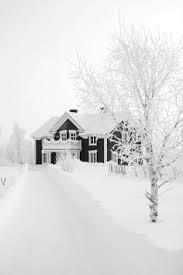 In this way, they symbolized their HOPE of survival through the long, difficult and dark winter months. This hope pointed their attention to the coming of Spring, life, and light. And, even before this time, the Greco-Romans celebrated this season as well, looking forward to the light of spring. It was a reminder that life is fleeting and flows by quickly and so they marked the passing seasons. On the weekend of the first day of Advent, our youngest daughter, Ilsa, arrived in the late afternoon. She and her husband drove the 6 hour trip from Kentucky to Pennsylvania for a short holiday visit. This visit was just for one day because she had to be at her job on Monday morning. The old, round table in the dining room has listened in on family conversations and provided a comfortable, familiar gathering place for talking and eating. The warm, spicy aroma of fresh coffee drifted from the kitchen. As the late autumn light outside the northern window was nearing its lowest indigo hue, we drank coffee from sturdy pottery mugs. Our hands clasped around the steaming cups and we forgot about anything beyond the room we were in as we laughed together and shared family gossip and our passing thoughts. I gave Ilsa a small present. It was two new chapbooks of poetry, wrapped carefully in thin white translucent paper. Ilsa unwrapped the books, looked them over and she began turning the pages slowly. She read a few poems from each book. She read them aloud to me, and we enjoyed them together – we spoke about some images in the poems. we discovered unexpected humor and profound sadness; the poems held life and death on the pages. How good it felt to negotiate the poems together! We both love literature and books and have enjoyable conversations about the things we love. When the first Christians wanted to depict faith and hope in the next world, Paradise, they chose to use the symbol of flowers; the most depicted flower was the rose, and, sometimes lilies. A rose has been a symbol that leads us to think about love. The rose is an elegant flower, so soft to the touch, ;ike the most delicate velvet and exquisite symmetry. Rose petals form around a center, in a tight bud. As it grows, a rose bud expands and opens eventually to expose a halo of tiny, delicate flowers that encircle a center ring. When one looks deeply into the center of a rose, mystery is there to be found – like a hidden treasure. The most precious and spectacular part of the rose, lies in the center. A rose has sparked the imagination of poets, writers, artists, and lovers. In 1913, the avantgarde poet, Gertrude Stein wrote this sentence, “Rose is a rose is a rose is a rose.”The line appears in her 1922 book Mention of a Rose. Clearly, Gertrude Stein realized there is simply no other word that can describe a rose, except that it is a rose. Everything else fails miserably in our attempts to portray the most recognized flower in the world, and it carries a universal message to people of all cultures. 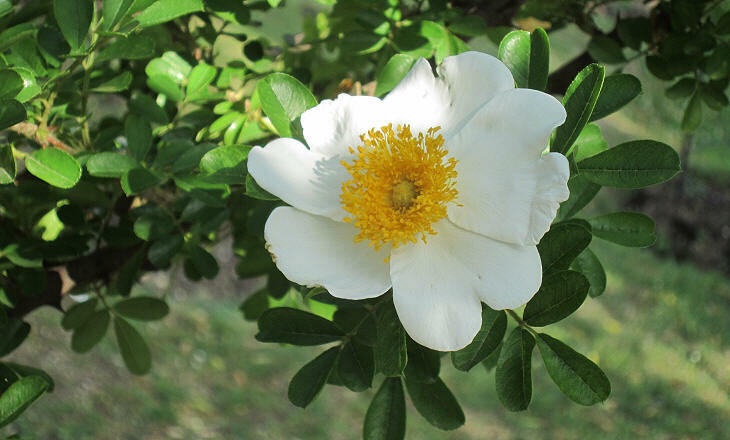 Research will disclose that the garden variety of roses have been cultivated for over 5,000 years. One can find roses in the gardens that were tended by the people who lived in the Roman Empire. Today, visitors to Italy can walk in glorious rose gardens that were created during the days of the Empire. Ah, yes, I contend that the rose is Queen of all Flowers! I am certain of it! As you begin doing some research on the “rose” as an iconic image, you will soon find references to Mary, the Queen of Heaven and Earth. She is often depicted with a rose in her hand, or surrounded by roses. 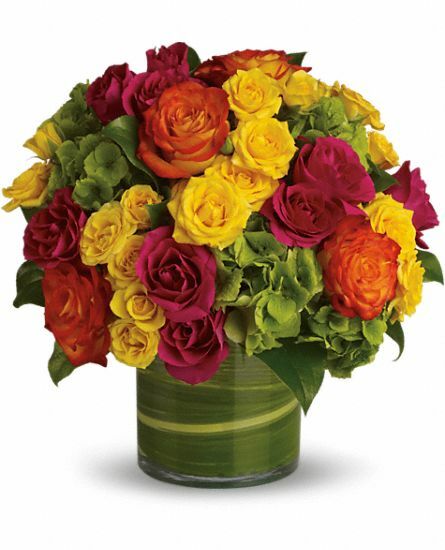 Roses are used as garlands in art and sculpture and roses are used to encircle the Queen of Heaven. Roses are a halo at times in Christian lore as well as in pre-Christian mythology. 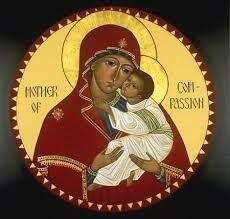 Mary’s son, Jesus Christ, is symbolized as a rose. King Solomon described Jesus as “the rose of Sharon.” You can find this particular reference in The Song of Solomon, 2:1. There are many other such references as well. I sat down to consider the pleasure of a visit with my daughter. Below you will read a poem about her visit and something we did together. Sometimes, it is unusual when we think of a child teaching a parent a lesson of some sort. But, here in my poem, a daughter teaches me a lesson in a unique way. On this First Week of Advent we can choose to keep our thoughts and our eyes focused on HOPE as we light that first candle. There is great beauty in the symbols of the weekly lighting of the Advent candles. This week, we pause to embrace the message of the ROSE and the coming of the LIGHT, who is promised from ancient times. Ah, yes! As I complete the writing of this essay, I am hearing a tune in my mind. Lynda McKinney Lambert. Copyright 2014. All rights reserved.